From the 1934 movie with Bing Crosby "Here Is My Heart"
Harry would perform a number of Bing Crosby's songs over the years. any number of his songs. 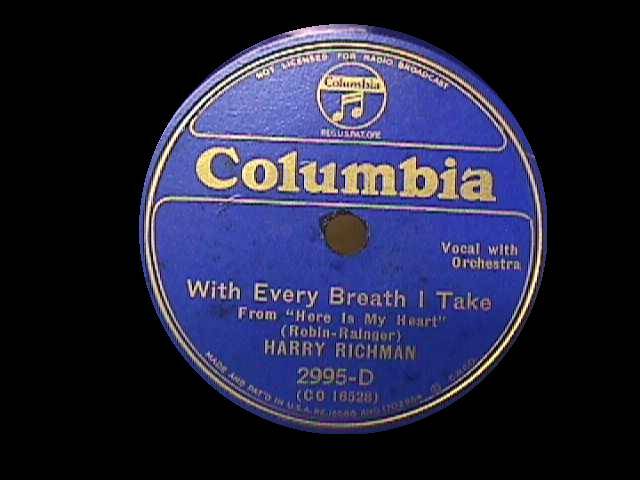 Songs from "Here is My Heart"
Columbia would continue to back Harry Richman for a number of years. In 1936 he wrote and stared in the movie "The Music goes around and around". Songs from "The Music Goes Around and Around"